I don’t get to travel much, but when I do, it usually involves travel sized goodies. First off, it’s fun to prepare for a trip, and even though I’ve horded the travel sized bottles from the last trip, I can’t help it. It’s also a great way to try products before I commit to the full size version. Now though, that I know the products readily available in drug stores are not necessarily safe, it’s made me rethink my shopping habits, including getting ready for trips. I’m also trying to live a more zero waste life, so I’m trying to be more aware of buying less, buying better and buying things that are recyclable. I was psyched to find that by joining Beautycounter’s Band of Beauty I’d enjoy product credit, free shipping on orders over $100 and they sent me this awesome travel set in a cute pouch (I’m also a sucker for cute pouches)! It’s the Amazon Prime of beauty, and while I miss out on the trip of going to the drugstore to buy travel shampoo and inevitably several dollars worth of stuff I didn’t need (cost savings right there! ), I have safe products to use on the road, bottles I can decant my full size products into, and I can use the pouch when I’m not traveling! It can be tricky to stick to your principles of reducing waste and using safer products on the road, but it’s important. Our habits are who we are, so it’s important to stick to your principles even away from home. 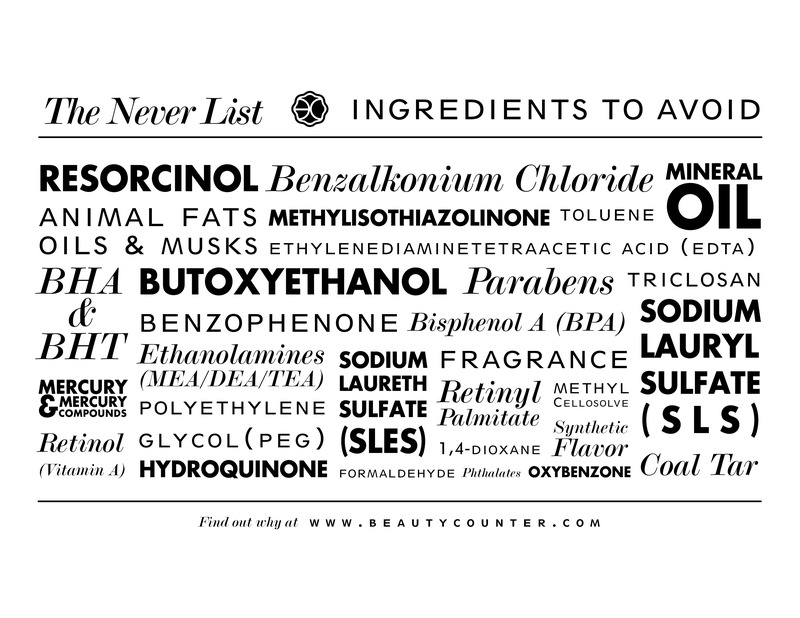 Now that I know what I know about the harmful ingredients in many assumed safe personal care products, I can’t look back. The fact that Beautycounter makes travel sets is awesome. Right now they’re free with the Band of Beauty membership (a $29 annual subscription), but keep your eye out over the holidays… travel and gift sets are just around the corner. Now I need to schedule a trip!